The Renfrew Millionaires was the last small-town team to compete successfully in the National Hockey League (NHL). In 1910, local Renfrew tycoon M.J. O'Brien bankrolled a new hockey league – the National Hockey Association (NHA). Then, he launched a bid to bring the Stanley Cup to Renfrew. O’Brien recruited stars like Lester and Frank Patrick and "Cyclone" Taylor to the Renfrew Creamery Kings with extravagant salaries that earned the team the nickname of the Millionaires. 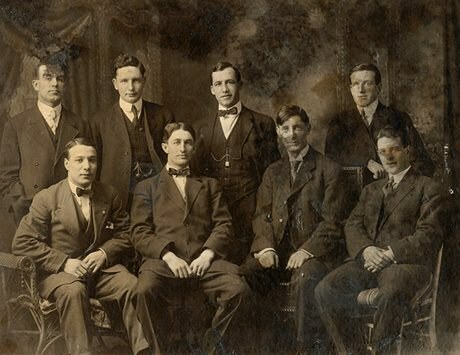 Their 1910 season featured exciting games against rivals from Cobalt, Haileybury, Ottawa and Montreal that were followed closely by fans nationwide. Renfrew's hopes were dashed when the Millionaires failed to win the cup. After the First World War, the NHA would become the National Hockey League, signalling an end to big-league hockey played by small-town Ontario teams. Visit the Ontario Heritage Trust provincial plaque at the Ma-Te-Way Activity Centre in Renfrew, Ontario. Learn more about the Renfrew Millionaires on the Birthplace of the NHL website.